Bring out the flowers – brighten up the Fall darkness! Monday, November 24 : 7pm – Flower Power night. Be creative – how ‘flowery’ can you be! 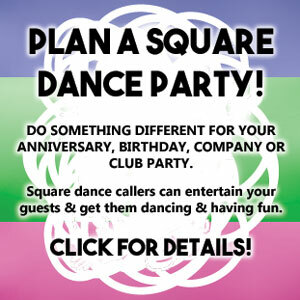 Let’s put square dancing on the map!